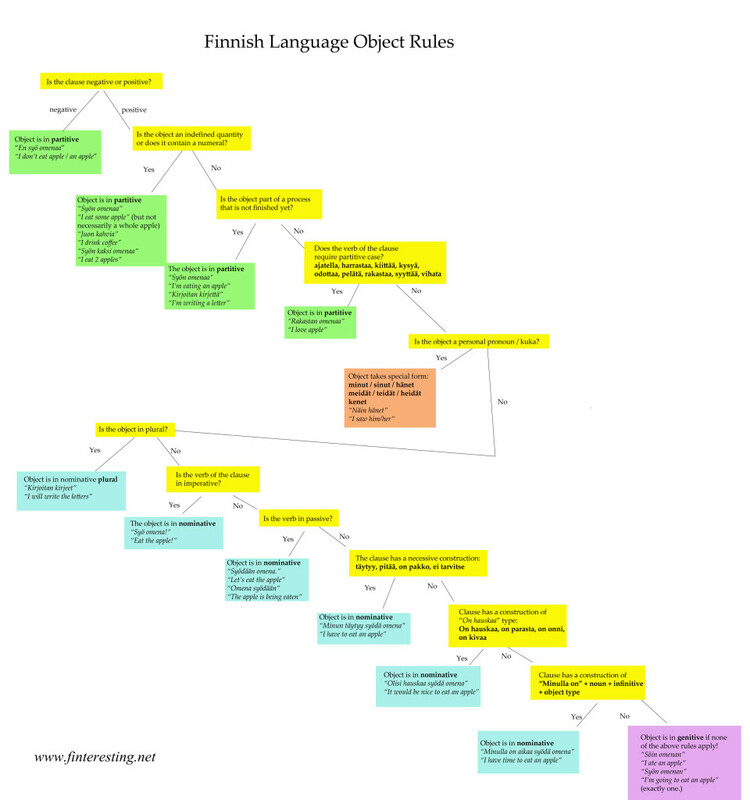 For anyone who is like me trying to learn Finnish and struggling with the object forms I’ve made a little flowchart. When trying to determine what form the object of a clause should take, just follow the questions from top and hopefully this will lead you to the right form. Remember: Partitive always takes priority, if there is any reason to use partitive, do so. Ha! 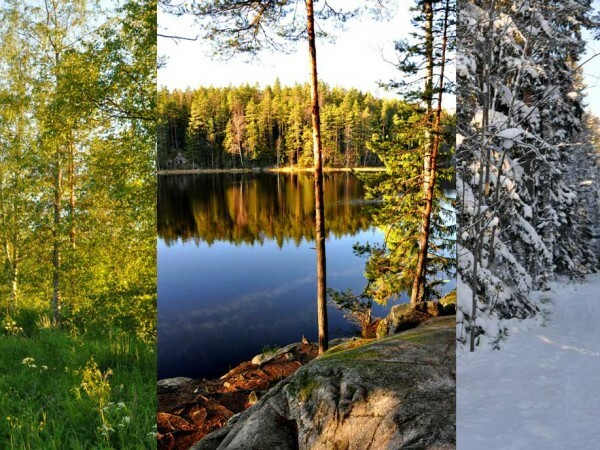 nothing is easy in Finnish – thanks for the chart! just realized that your blog runs in german and english, can you tell me which plugin for wordpress you are using? Hey, great chart, but you say when the clause is täytyy, on pakko, pitää then it goes to nominitive, mutta mutta, Minun täytyy opiskella matematiikkaa ja minun pitää ajaa autoa. Onko? Minun täytyy opiskella matematiikkaa. Minun pitää ajaa autoa. The object is in partitive. For the sake of comparison, consider also the following sentences. Opiskelen itselleni ammatin. Minun täytyy opiskella itselleni ammatti. Ajan auton korjaamolle. Minun pitää ajaa auto korjaamolle.